New Logo and business card for Ulysses Fashion. 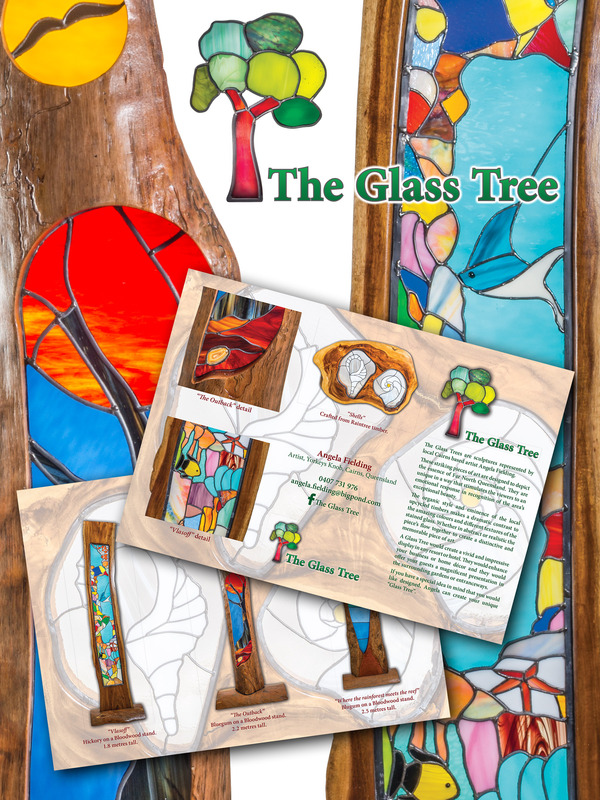 Local Cairns artist Angela Fielding of The Glass Tree wanted professional photographs and a brochure depicting the unique stained glass and wood sculptures that she creates. Some of these “Glass Trees” are up to 2.5 metres tall. Imagination Photography took the images and Design Odyssey created the marketing brochure. Angela can be contacted via her Facebook page The Glass Tree. Some of her work in on display at The Red Chair Gallery at The Pier in Cairns. 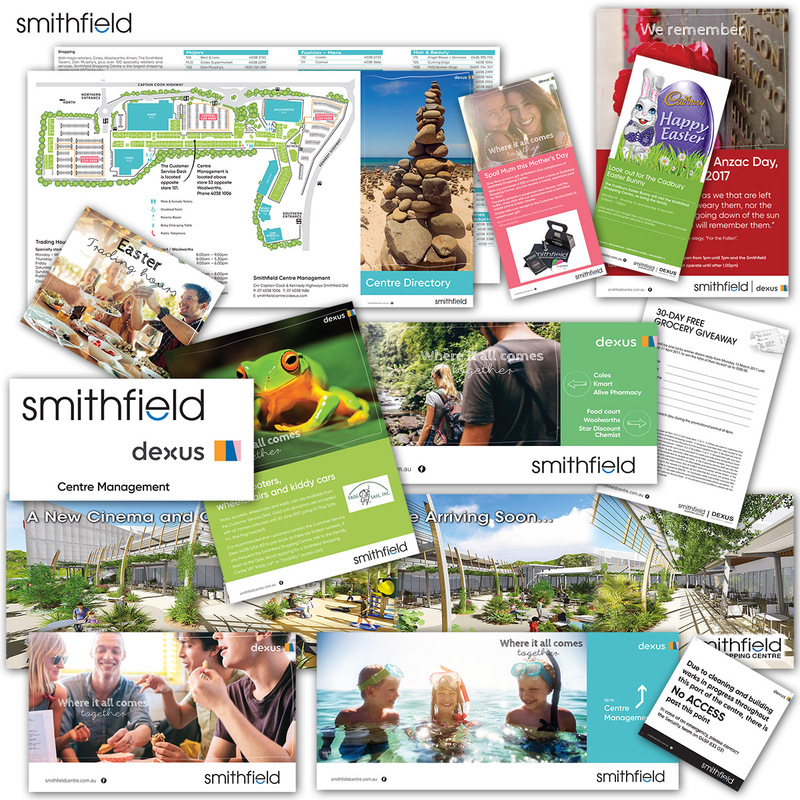 Smithfield Shopping Centre, through it’s owner Dexus Property Group, has recently undergone a major rebranding for all it’s shopping centres across Australia. 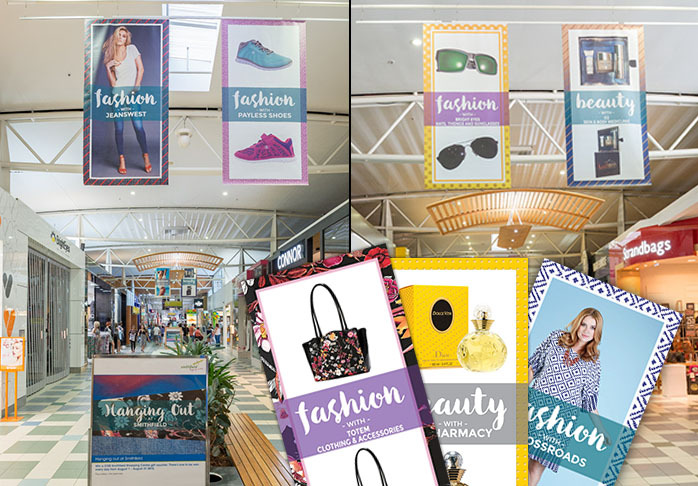 Although Design Odyssey was not involved in the style design, it is our job to implement the changes at Smithfield Shopping Centre in Cairns. 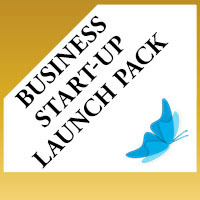 This has involved a major update of all marketing merchandise, including flyers, posters, press advertisement, forms and signage. All existing collateral has been updated and all future material will follow the new format. The new cinema complex has also involved signage and hoarding banners surrounding the building works. Below are samples of some of the new materials. Design Odyssey is proud to be associated with implementing the new designs. Smithfield Shopping Centre is staging a massive promotion during the June/July 2016 School holidays. An artist was commissioned to create five huge graphics depicting “views through the floor” of the reef and various sea creature. When standing at a specific marked spot, the perspective is realistic and people in the photo look immersed in the image – riding a turtle or being chased by a shark. 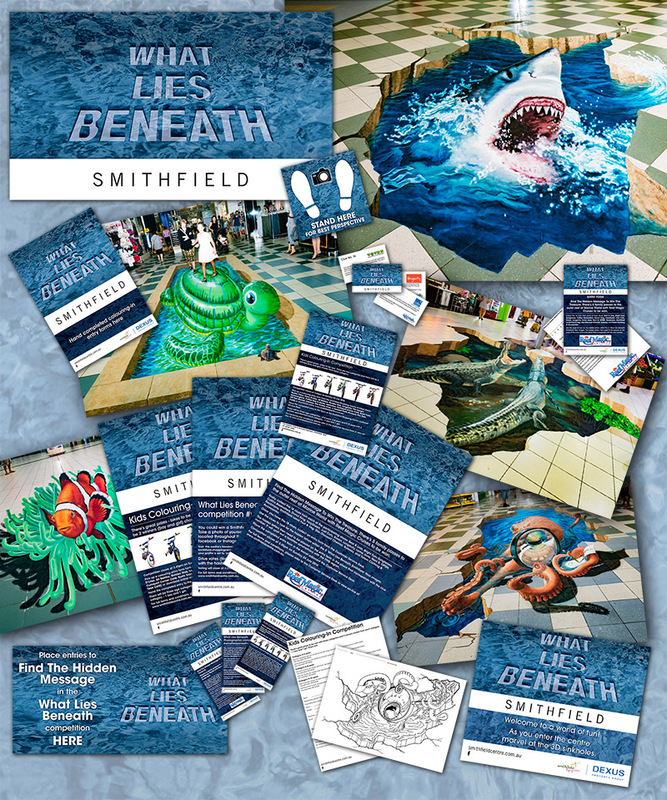 As the graphic designer for Smithfield Shopping Centre, Design Odyssey was tasked with creating the “What Lies Beneath” logo and the design concepts for the supporting material. Several competitions are being held in conjunction with the displays. Over several weeks, we created multiple posters, flyers, entry forms, advertisements, floor decals, window decals, clue cards and other promotional material, as well as web and Facebook graphics. If you get the chance, go along to Smithfield Shopping Centre and enjoy the experience. Thanks to Deb and the Team at Smithfield Shopping Centre. 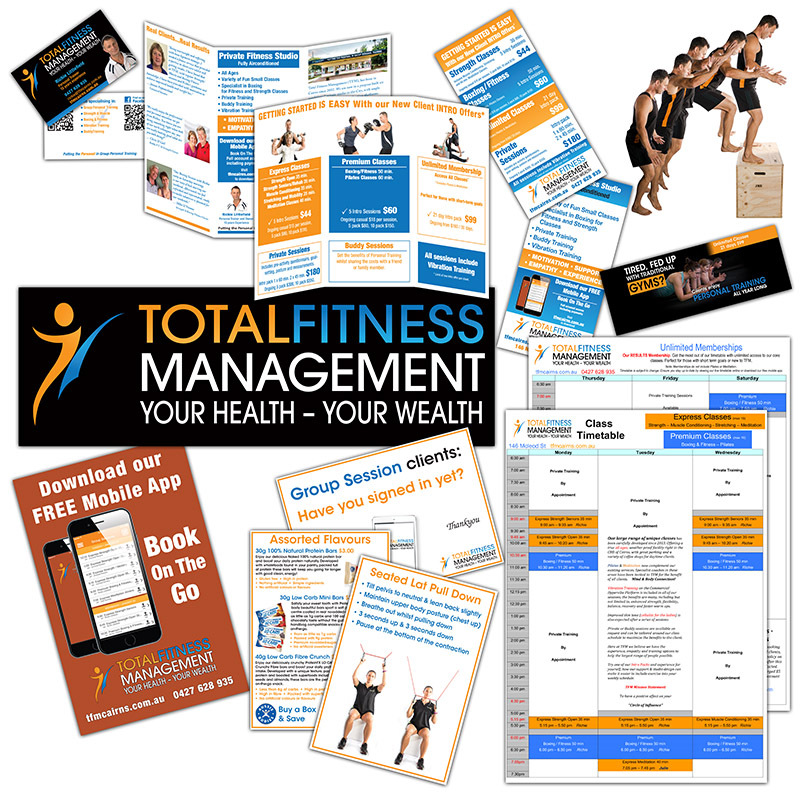 Full service graphics and photography work for Total Fitness Management, 146 McLeod Street, Cairns. 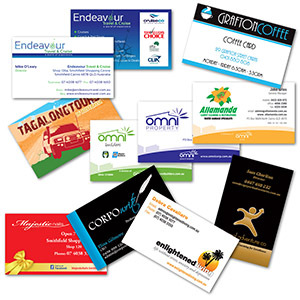 Business Cards, Flyers, Brochures, Signage, Web Graphics, Photography, Videos and much, much more. Design Odyssey and Imagination Photography combine to provide all your marketing needs. 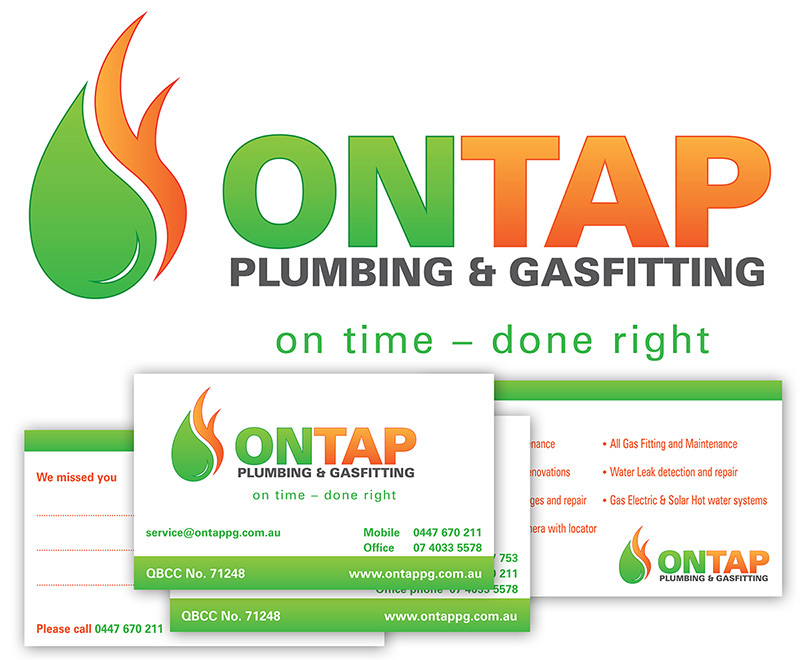 New Logo and stationery for OnTap Plumbing & Gasfitting. Thanks to Ross and Joe. 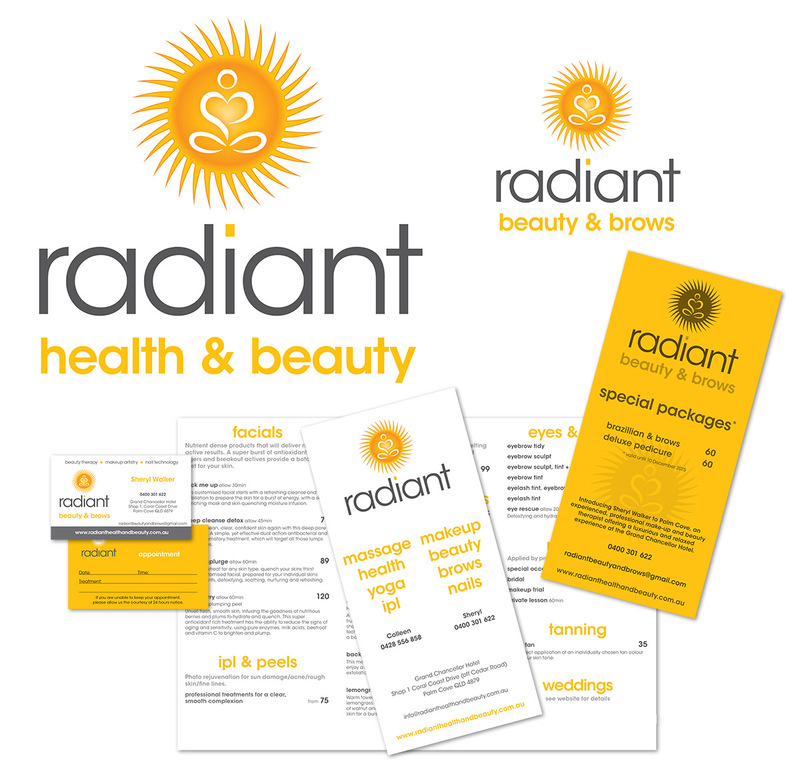 New Logo and stationery for Radiant Health and Beauty at Palm Cove. Thanks to Colleen and Sheryl. New Logo and stationery for Gary Wilkins & Associates. 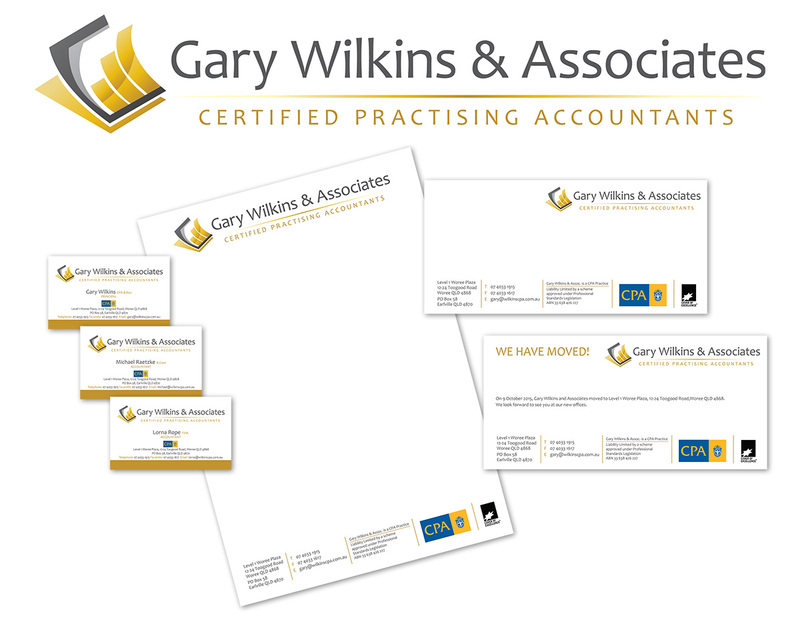 New Logo and stationery for Gary Wilkins & Associates prior to their relocation this week. Smithfield Shopping Centre recently started a fashion promotion titled ‘Hanging Out at Smithfield’. Retailers within the centre will be promoting fashion and beauty products for 3 weeks during August. The centre required flyers, posters banners and graphics for use on their website and Facebook page. The banners followed a theme of one or two images with a border complimenting the image in pattern or colours. Thirteen banners were designed and three sets produced my Status Signs and hung from the ceiling throughout the centre. The display posters, flyers and web graphics comprised sections of several banner borders to create a consistency to the theme. A bright and vibrant way to showcase design work.